WestJet Airlines Ltd. reported a third-quarter profit of $45.9 million, down from a profit of $135.9 million in the same quarter last year amid rising fuel prices. "Obviously, this year has not turned out the way we expected or wanted it to," said chief financial officer Harry Taylor. "But we've hit a bunch of marks this year and executed. "We are not where we want to be financially. We need to get back on that path," Taylor said on a conference call with investors Tuesday morning following the release of quarterly earnings. 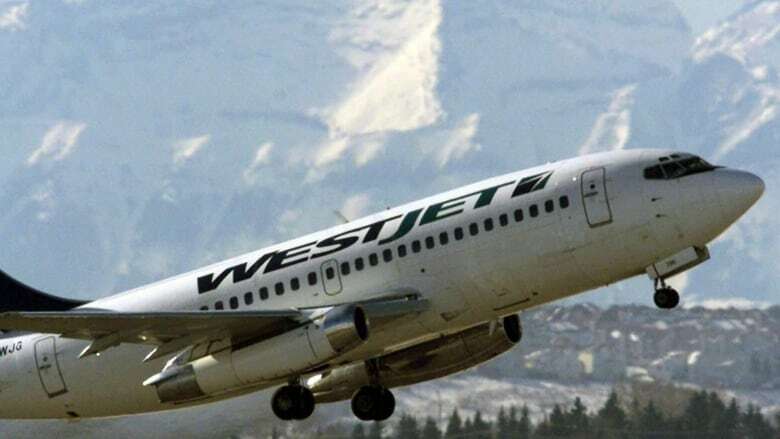 In May, WestJet pilots voted in favour of strike action before the Air Line Pilots Association and the company agreed to a settlement process two weeks later. The initial threat scared off potential passengers and prompted discounted fare offers that cost the carrier "tens of millions of dollars" throughout the second and third quarters, said chief executive Ed Sims. Intense competition is another concern. A freshly expanded Flair Airlines, soon-to-launch Canada Jetlines Ltd., Air Canada's low-cost Rouge and transatlantic players such as Iceland's Wow Air and Norwegian Air are all crowding the budget airspace that WestJet has flown into with its four-month-old, ultra-low-cost Swoop. "We saw a dramatic increase in fares and then an even more dramatic decrease in fares. We've seen another low-cost entrant come in and double the size of their network," Sims said, referring to the privately owned Flair. "The domestic market we do see as saturated in a way that WestJet's capability to bring inbound leisure traffic from markets like Europe is not saturated," he added, saying that its Boeing 767 wide-bodies are a "very effective weapon against that Rouge product." Earlier this month, WestJet launched sales of non-stop flights from Calgary to Dublin, Paris and London's Gatwick Airport with the first three of an expected 10 new Boeing 787 Dreamliner aircraft in a bid for business passengers that challenges Air Canada's transatlantic dominance. "Typically it's been very difficult to get into the southeastern U.S. for us in the West," noted spokesperson Lauren Stewart, highlighting market access carved out by a joint venture with the Atlanta-based Delta Air Lines announced in July. Karl Moore, an aviation expert at McGill University's Desautels Faculty of Management, sees WestJet in "transition" from a low-cost domestic carrier to a full-service, intercontinental airline. "I think they'll always try to be the feisty Canadian competitor...somewhat rooted in the West," Moore said. "But it becomes less David and Goliath and more Goliath and a big player. "High oil price is absolutely a problem. High competition is absolutely true. I think there's a bit of bumpiness right now, but I think they're positioning themselves very well to the future," he said. WestJet's capacity — measured by available seat miles — in the quarter was up 9.9 per cent from a year ago, while traffic — measured by revenue passenger miles — in the quarter increased 8.6 per cent.